Doesn't charge, plug doesn't fit in or is loose. People can't hear you properly. Home button doesn't work anymore. Can't hear the other person your calling except on loudspeaker? You may need a new earpiece. Camera is cracked bleeding or not working at all. Power button doesnt work anymore. Battery dies too quick? or takes forever to charge. Computer not running well, bring it in for a diagnosis. Keyboard doesn't work or is missing keys. computer running hot and slow. Fans running loud or not working at all. Need Windows or MacOS installed. HDMI port doesn't work anymore or is loose. Hard drive dead, we can replace it. Fans running loud or not working. System won't power on anymore or has power issues. Keys not working or missing. Games not reading properly or skipping. If the glass/LCD is cracked, has a distorted image, no image, or is malfunctioning..
Help us detailing the device problem to get it working properly again. Handover your device at your nearest store or choose device pickup, courier and a doorstep service. We fully stand behind our repairs with a full 1 year warranty from the date of repair! From iPhones to iPads to the latest and greatest devices, your local store can repair your mobile phone or tablet in 30-45 minutes at your home, office, or a neighborhood coffee shop. Setting the industry standard for device repair, the mobile phone and tablet repair expertise of every technician is ensured through iFixit’s Certification program. 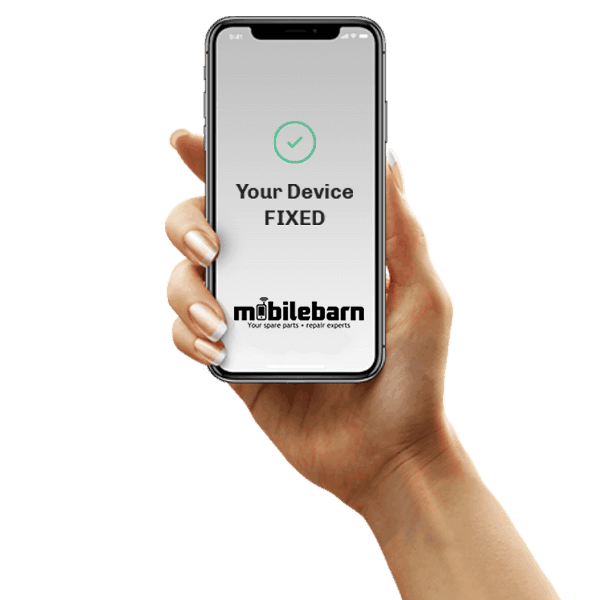 Rest assured that each repair made by Mobilebarn is at a location of your choice and is also protected with our Warranty. Generally repairs are completed within 1HR but it does depend on the nature of the repair. If your device requires a dignosis we endeavour to have that complete within 24-48 hours. Dependent on the repair or service required it can be less than this. We normally have multiple repair techs working at any one time at all locations however if you require your repair completed at a certain time (i.e getting repair done during lunch break) then it is advisable to book-in in advanced. We will then have a repair tech awaiting your arrival ready to do your job. Yes however we do charge a callout fee of $24.99 on top of the repair price. We have many options to get you going again. Just because you signed a service contract with your phone carrier doesn’t mean you have to keep a phone that you’re no longer happy with.